Road accidents are fierce, and being arrested for drunk driving is as bad as a death sentence for some people. Jail man, it’s not a place for the pasty tech geek. 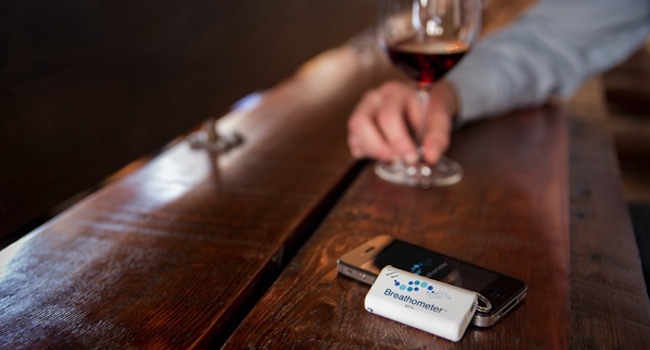 That’s why the Breathometer, a tiny piece of hardware that connects to the iPhone and measures blood alcohol levels, is ideal for most post tech event situations. Here’s how it looks, works and saves lives. The Breathometer is about the size of a BMW car key and fits snugly onto an iPhone (seems like 4S in the image, as the 3.5mm jack is on the top, whereas the iPhone 5 jack is on the bottom). Plug in the hardware, blow into it and the free app detects the blood alcohol concentration (BAC). This video neatly explains the process. Regardless, the device is a snap to use. We’ll have a full review of it when we receive our device, but it looks practically foolproof. Breathometer’s website says that the device is “as accurate as other consumer breathalysers on the market” which is a must, given the fiddly nature of off-the-shelf breathalysers. Here’s the downside: Breathometer isn’t available for purchase just yet. 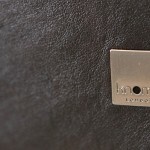 It’s on the Kickstarter-like website, Indiegogo and is US$20 000 short of its intended US$25 000 production goal. Let’s make this life-saving device a reality and donate towards it. There’s a few more stumbling blocks. 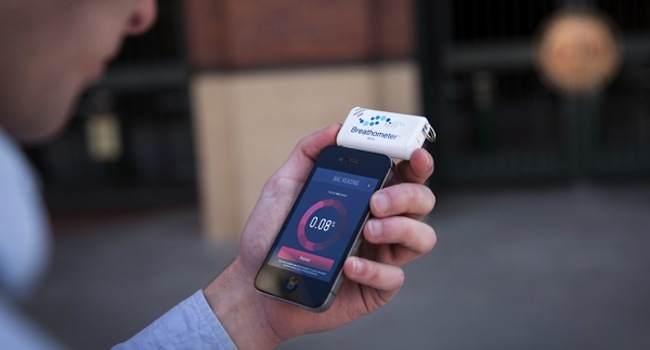 Breathometer still needs FDA approval and is still patent pending. When it does eventually launch, it’ll drop in the stores for the very palatable price of US$20. It’s cheaper than bail money.